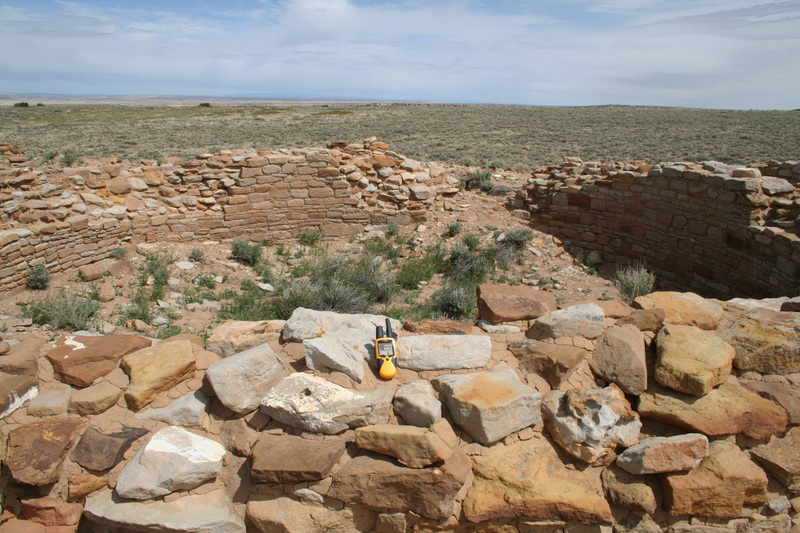 Viewing north at the south wall and great house entranceway. 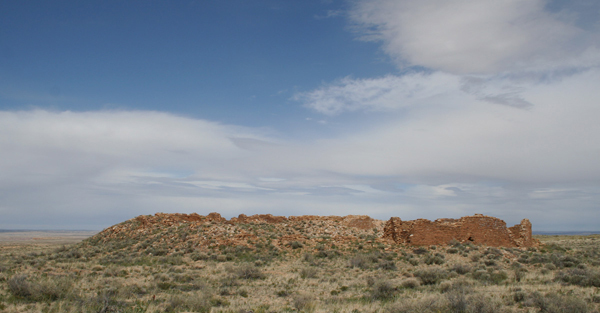 Viewing north from outside the great house. The south rooms viewed from the north room block. 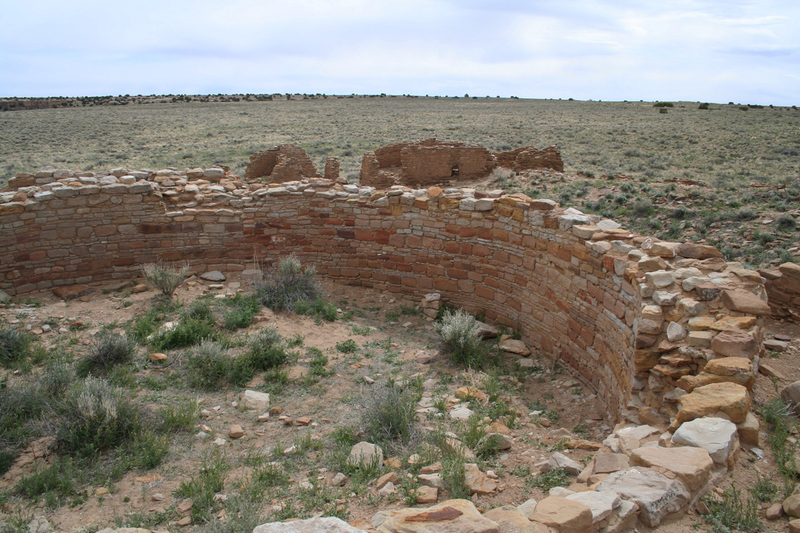 Viewing west in the north room block from the great kiva. 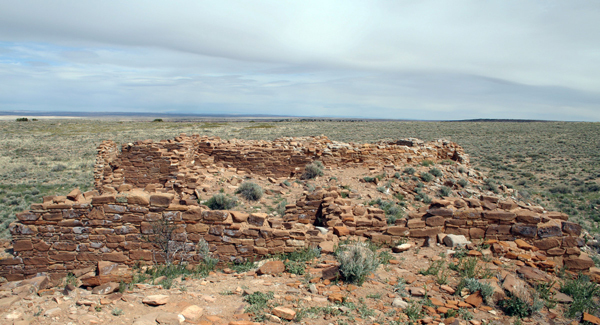 Viewing west from the east wall of the west kiva. 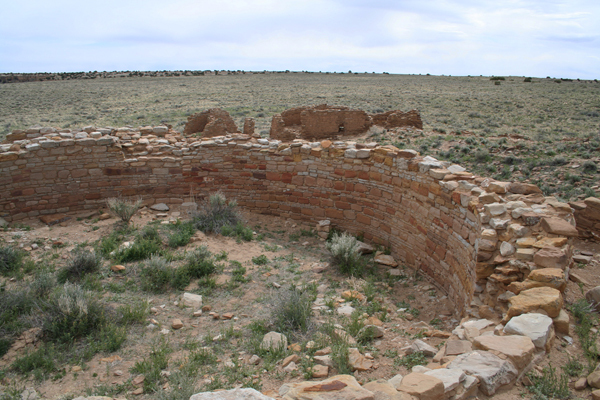 Viewing south across the great kiva towards the south rooms. 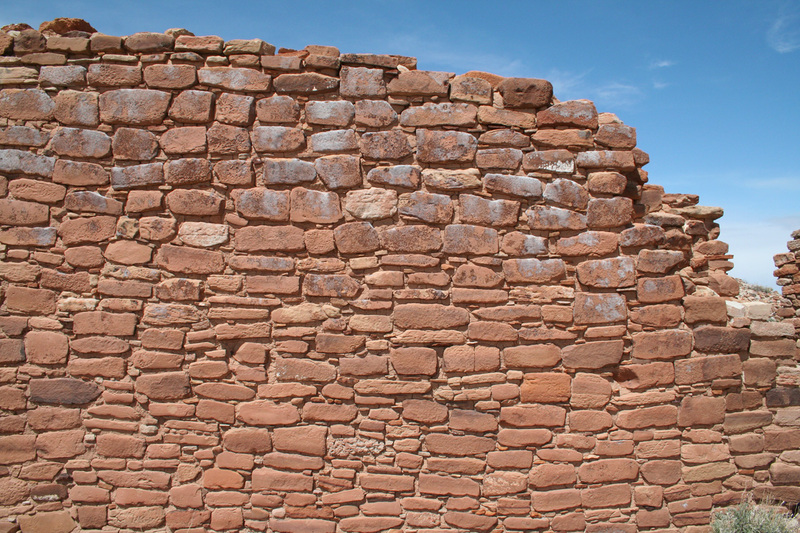 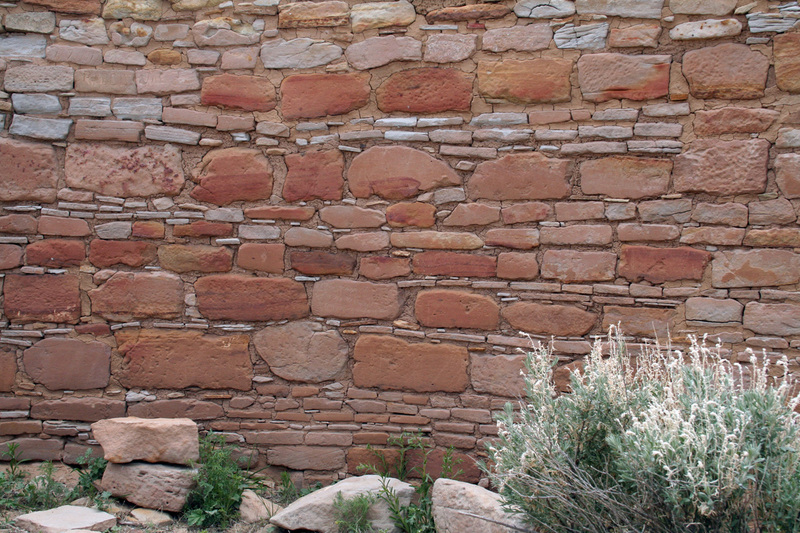 Masonry detail of the great kiva interior. 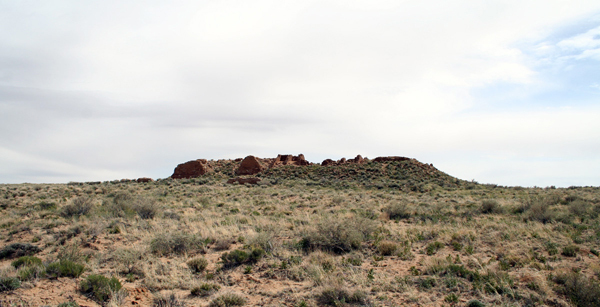 The great house mound viewed from the north. 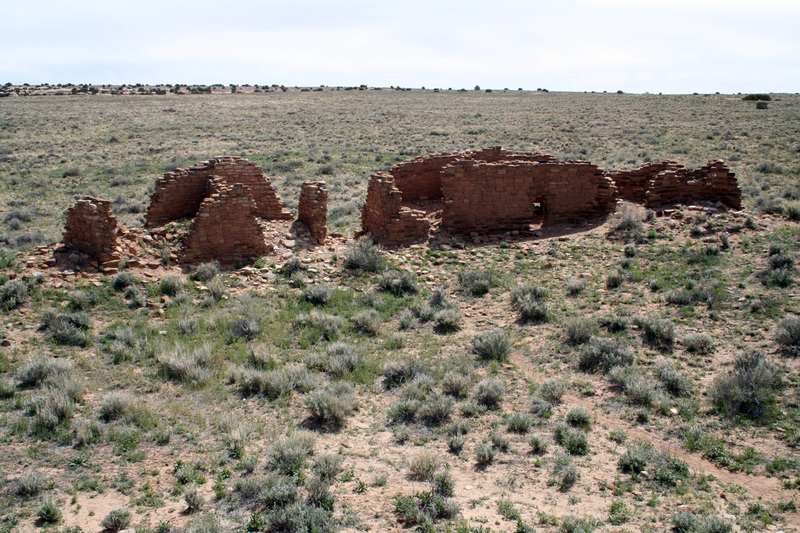 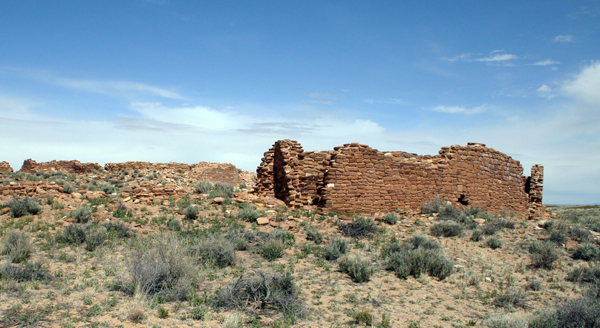 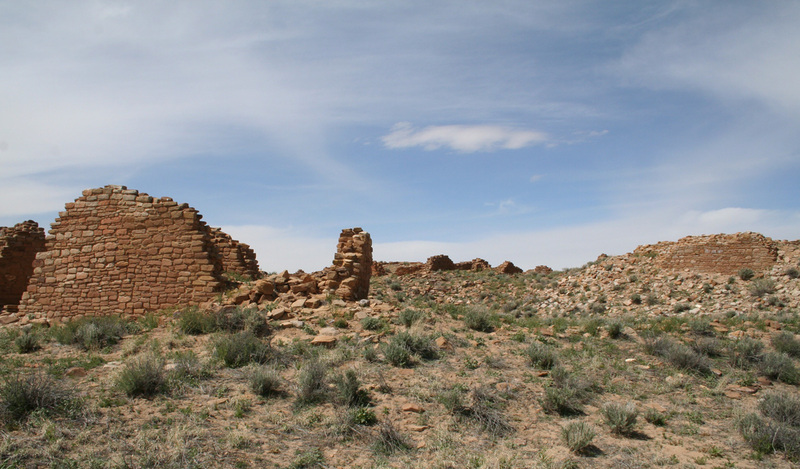 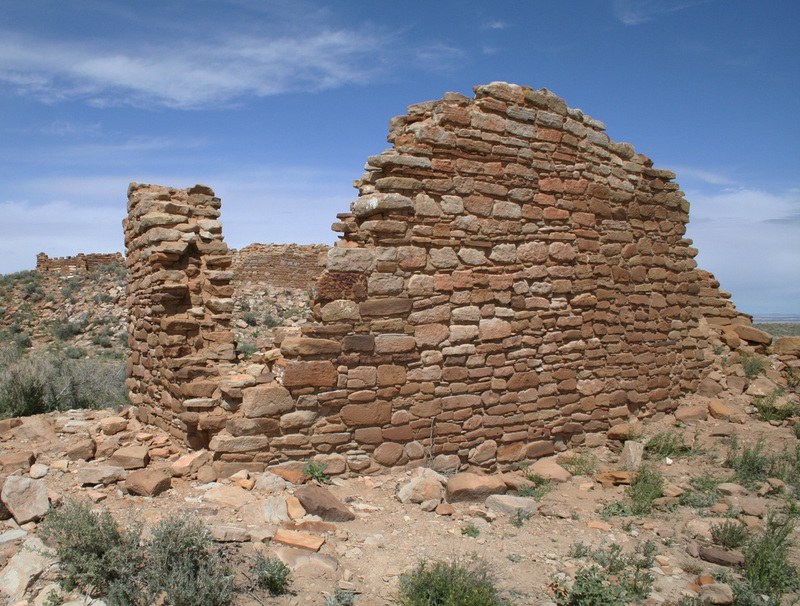 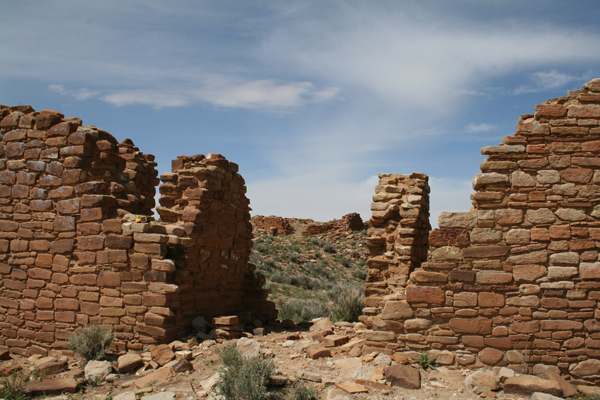 Approaching Tsin Kletso great house from Chaco Canyon. North wall at west corner of Tsin Kletso's main room block. Tsin Kletso masonry detail near the south entranway. Viewing through the south entranceway towards the west side of the main room block.